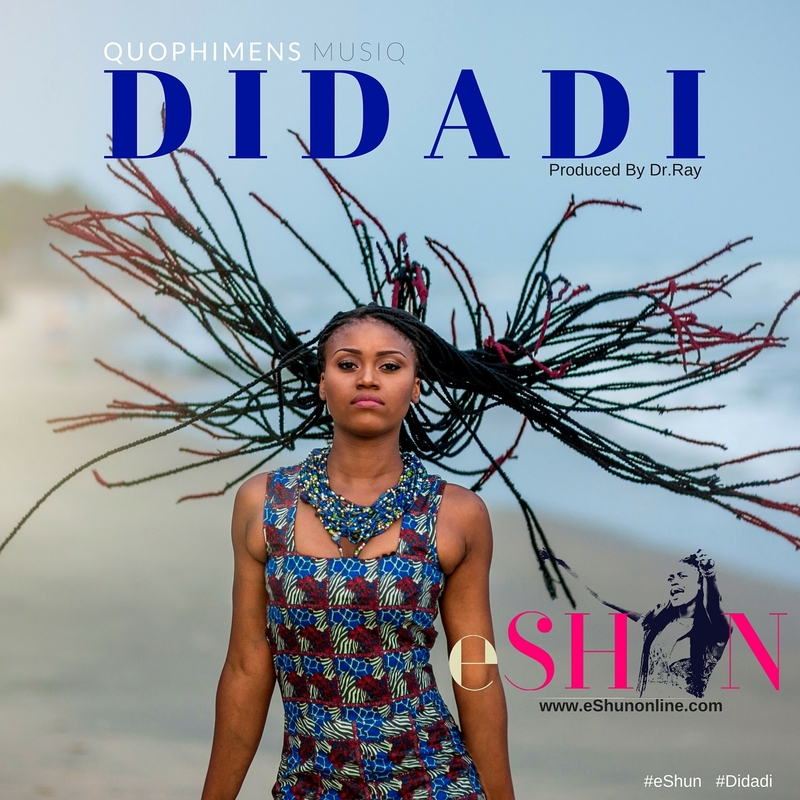 One of Ghana’s sensational and fast rising female artist, singer, eShun, has release her Didadi song on her website, www.eShunonline.com, other major streaming free download websites and on all radio stations across the country. The song combines different genres in singing and eShun’s ability in song-writing is a given talent!” Didadi is produced by Dr. Ray Beatz. The Meye and New Gurl hit maker, is determined to make a positive and lasting legacy in the Ghana music industry and as well as the African continent at large with her new track. Didadi which is the song title, simply means an ‘Awesome feeling’. Thus, the great feeling you get when you count your blessings after a long day of hustling, and tell yourself Yes, just as I got here, all my expectations in life will happen in time. According to the beautiful songstress, she had help from some musicians in Kenya and Tanzania on her Didadi song. eShun says she needed to sing in Swahili; so they had to teach her the language – at least some Swahili lines that she needed for the song. “Thanks to all the people who listened to the song and contributed especially Mr. Senyo of the University of Cape Coast and Mr. Kiki Banson (Becca’s Former Manager) who is contributing to my song writing skills”, eShun added. The sensational singer says, you don’t need weed or booze to get away from your worries. So this is what she is saying, if you have a problem and you can’t solve it, why worry when that won’t solve it. If you can solve it, then solve it, again why worry. In an interview with the media ahead of the release today, the Best Producer Nominee of the 2015 Vodafone Ghana Music Award, Dr. Ray Beatz, have expressed excitement adding that the song is a mixture of Hilife, Reggae and Hip Hop. ‘’It is a bad bad tune’’. It’s nothing like I have done before, eShun is in fact the next biggest African Musician and I am proud working with her on this record.” Dr. Ray Beatz explained. Quophimens Music (the label that managers eShun) Manager, Stephen Mensah, says he want Africa to have a feel of eShun’s creativity and her consciousness in working on songs that will motivate her listeners into exploring their abilities without any form of limitations. ‘’I feel this song will get you wanting to hear more from this young lady whose determination to make quality records sometimes beat my imagination’’ he added.